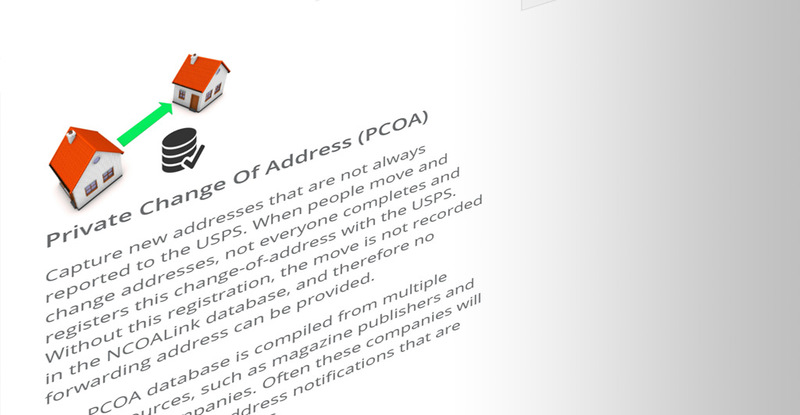 Instantly identify change of address moves that were not reported to the USPS and update your database records with new addresses. Maximize the number of new addresses applied to your records when processing your mailing list against the dataset outside of the NCOALink data file. Locate individuals, families, and businesses who have not completed a Change of Address form with the USPS. Speed-to-market and information accuracy are critical to your marketing campaign’s success. The UpdateYourList.com DIY Portal allows you to instantly process your database records against a private change of address file that includes records where the change of address was not reported to the USPS. Combine the multi-sourced PCOA data file with NCOALink data file and greatly improve your chances of finding the new address.